WHAT: At the meeting of its Board of Directors today, the Overseas Private Investment Corporation (OPIC) voted to delay decision on loan guarantees to Enron International for a planned natural gas pipeline that would cut through 200km of primary tropical forest and 100km of pristine wetlands in the Bolivian Amazon. WHAT At the meeting of its Board of Directors today, the Overseas Private Investment Corporation (OPIC) voted to delay decision on loan guarantees to Enron International for a planned natural gas pipeline that would cut through 200km of primary tropical forest and 100km of pristine wetlands in the Bolivian Amazon. 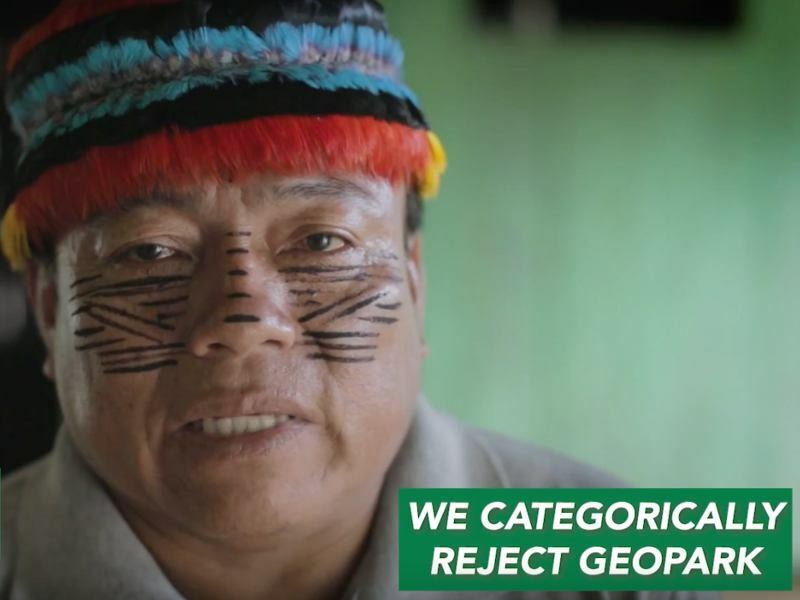 WHAT: On March 9, the Board of Directors of the Overseas Private Investment Corporation (OPIC) will consider providing financing – backed by US tax dollars – for a natural gas pipeline that will cut through 200km of primary tropical forest and 100km of pristine wetlands in the Bolivian Amazon. The pipeline will bisect the world’s largest intact tropical dry forest. 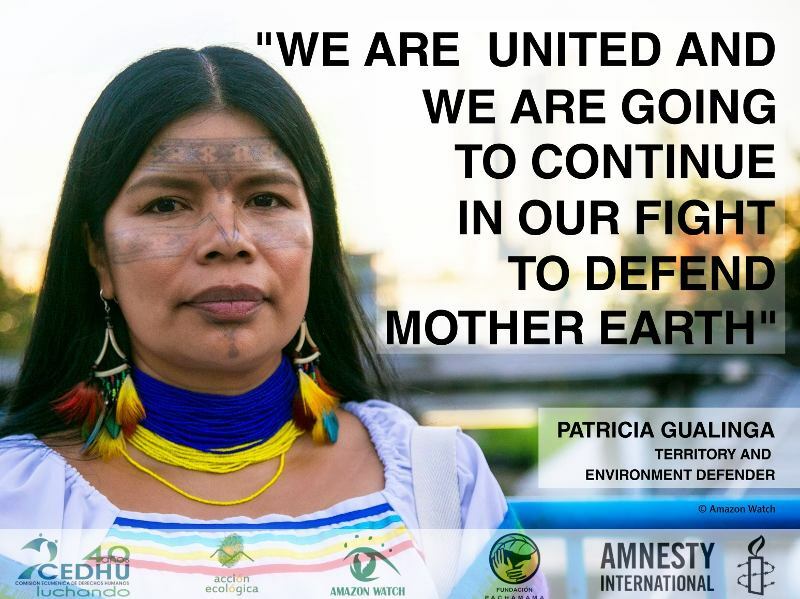 Coconut Grove, FL - The international environmental organizations Amazon Watch and Rainforest Action Network (RAN) held a "Project Risk Briefing" on controversial new oil and gas projects showcased at this week's Andean Energy '98 conference. Buenos Aires - Last evening, thousands of people watched as sky dancers from California presented "Awakening", a multi-media spectacle of dance and imagery while suspended from the 6-story Law School building outside of the United Nations Convention on Climate Change. 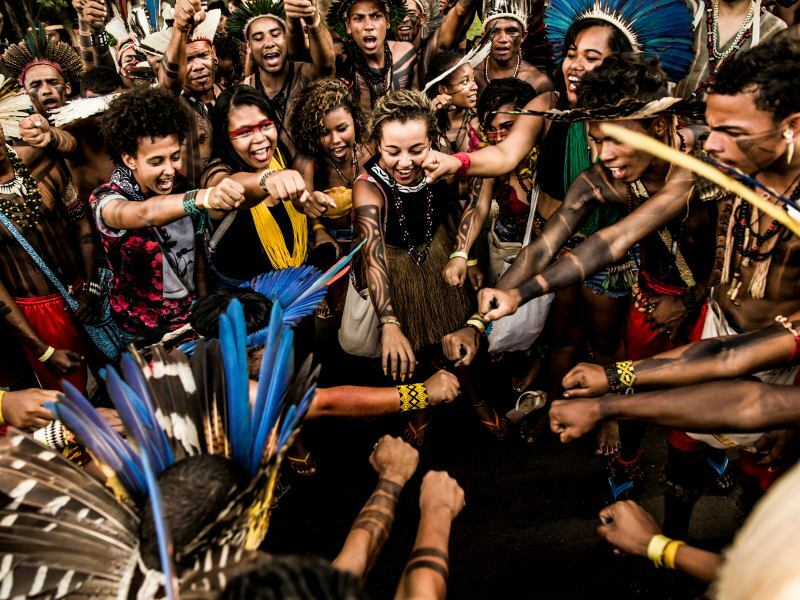 The dancers called on the world leaders gathered at the conference to awaken to the dangers of climate change and end exploration for new fossil fuels. Since Monday, October 12, more than 250 indigenous residents of the Canaima National Park and surrounding areas of southern Venezuela have been protesting again against the 450-mile power line being built to Brazil. The protests come one month after Venezuelan government unilaterally broke off talks with the Indian leaders. Mapauri, Venezuela - At approximately 3:20 p.m. EST yesterday, the Venezuelan National Guard - with orders from an unidentified source - assaulted residents of Mapauri, a small indigenous community in the State of Bolivar located in the municipality of the Gran Sabana. El Dorado, Venezuela - At approximately 6:30 am (EST) today, fifty members of the Venezuelan National Guard moved into kilometer 16, the site of the 11-day old blockade – to disperse 800 indigenous peoples protesting the construction of a new high voltage power line from Venezuela to Brazil.